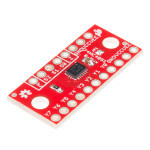 The SparkFun Single Supply Logic Level Converter is logic level and power supply translator in one s..
Do you have too many sensors with the same I2C address? 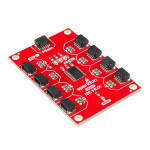 Put them on the SparkFun Qwiic Mux Breakout .. 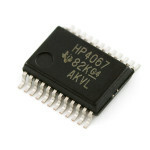 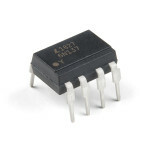 This is a breakout for the SOIC version of the 74HC595 shift register IC. 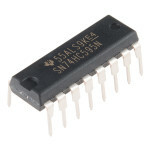 Clock in data and latch it.. 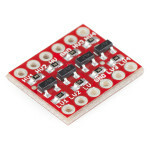 This is a breakout board for the Texas Instruments TXB0104 module. 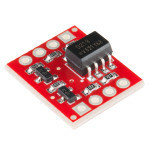 The TXB0104 is a 4-bit bidirectio.. 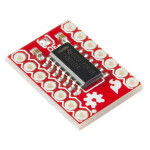 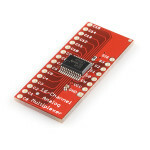 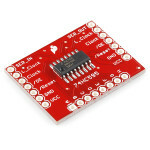 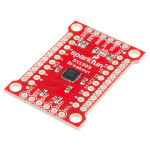 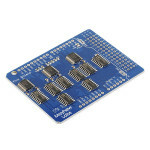 The SparkFun Multiplexer Breakout provides access to all pins and features of the 74HC4051, an 8-cha.. 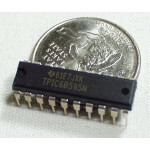 The SN74HC595N is a simple 8-bit shift register IC. 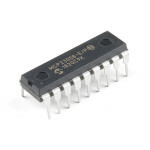 Simply put, this shift register is a device that..